The results were almost instantaneous! "I heard about Feng Shui and even attended one of Diana's lectures. However, as an accountant and an analyst, I really didn't have any expectations about measurable results from how I placed things in my home. I wanted some redecorating and thought I would use Feng Shui as a guideline. It couldn't hurt, right? When we made the appointment for Diana to come for the initial survey, she asked me to have some goals in mind. I'd been working temporary jobs for about 17 months looking for the right position (I was currently unemployed). So, our finances were okay, but not secure. In addition, our eight-year-old son had never slept through the night. He came into our bed nightly, often wet from an accident. Diana gave us concrete suggestions about changing our son's room. His headboard was pointing in the wrong direction. His optimum direction was the one he laid in when he came to sleep with us. We had the right colors in his room but they were muted and he needed true colors. We couldn't move his headboard to his optimum position, but we could move it to the next best. We framed some of his school artwork for his room. What a surprise that he used his optimum colors. The results were almost instantaneous! He now sleeps through the night in his own room. He even wakes to use the restroom then returns without waking us. After eight plus years this is a true blessing. He had not known why we were changing his room around, so the changes were natural, not forced to please us." "Working with Diana continues to bring blessings and tangible results. 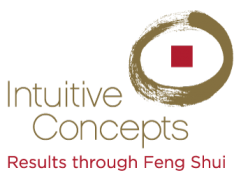 As a Feng Shui consultant, Diana is a true professional: She is very thorough, knowledgeable and sincere. Our family has experienced many positive changes after making the adjustments. We have been a client of Diana's for several years. As Diana says, manage your environment or it will manage you. She's the one to help you to do just that!" Within just a week after the Acupuncture was done our symptoms began to subside. I am writing to express my sincere gratitude and thanks to Diana Garber for the Earth Acupuncture that was performed around my home in September 2006. Although my husband was skeptical at first, given the cost of the procedure and the fact that he is a Neurosurgeon. All skepticism soon faded after several events. Before the Acupuncture was done, my husband had come down with a terrible case of the shingles, my son had a rash that would not go away for several months, and I had developed bronchitis. All these illnesses popped up around the same time due to some things that had come up regarding the energy of our home we had just moved into. Within just a week after the Acupuncture was done our symptoms began to subside, and within 2 weeks they disappeared. About 1 month following the procedure something else happened. I was sitting in my living room (which has quite a number of windows facing an open field) when all of a sudden the sky turned green and the wind picked up. I spotted a tornado headed straight toward me! I ran into the bathroom for safety and when I came out I was astonished! The tornado skipped around my house and followed down the side of my yard leveling one of my trees and taking out my mail box. It did not touch my house! Furthermore, the tree it took out was outside the line of Acupuncture. My husband believes that some sort of magnetic interference from the steel rods used for the earth acupuncture embedded in the ground caused the tornado to change its course. Coincidence? I think not. Thank you again, Diana, for your expertise!" "Diana already worked on our business and is now working on our home, and it's amazing how on target the analysis is there too. Family health issues, relationship dynamics, drains on motivation – it's all there. Things we were putting off or didn't get finished, we're now enthused about -- and knowing our Feng Shui action plan gives us confidence in our choices." I have to admit, I was a Feng Shui skeptic. What I knew about it, I believed to be coincidence -- that people wanted events to mean something and convinced themselves they were getting results. That was several years ago, and Diana made a believer of me. We're now designing our new home according to Feng Shui principles, so I'm a convert -- but I'm getting ahead of myself. My wife's and my goals then for were improved health, a better relationship with our son, and increased wealth. All of these were accomplished and more, and here's a few examples. We'd had an estranged relationship with our son and made some changes in his energy area of our home. He was already on his own so I wasn't convinced making these changes in our house would make a difference. The very same day he came over and invited us out for dinner. I was surprised! Still, I considered this might be coincidence. I like concrete results, and still I was more open than before to the possibility of Feng Shui. We started applying Feng Shui to our landscape, which called for a metal element and Diana was specific about where to place it. I made the sculpture to honor our son, and we placed it in his area of the land. I wasn't thinking and made a Kokopelli sculpture, which is a fertility symbol. I thought Koko would help the relationship with him become more fertile -- to blossom. It blossomed in another way -- he became a family man. Be careful what you ask for, you may get it! We're happy to have more family to love, and our relationship is the best it's been in years. We had concrete, measurable results. "During the initial walk through Diana made some suggestions about changes to remove financial blocks. I started making some changes that night, mostly cleaning out clutter in specific areas. Within two days I received a call for an interview. which started out temporary and is now full time. It's exactly what I was looking for! When we received our written report, there were other suggestions to improve finances. We started implementing them right away. Within six weeks, my husband received a raise that was more than three times his company's average and 50% more than what he intended to fight for! I also received an unexpected raise, even though I was still a temporary employee and not really 'entitled' to one. So, we had concrete, measurable results that we had no control over. In addition, we enjoy our home and each other more. We look forward to using Feng Shui to continue improving our environment both at home and work."